Watch Out! Your WhatsApp chats are not safe. The UK government recently passed the Investigatory Power Act, forcing tech companies to hand over web histories to them. 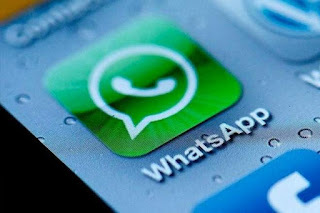 WhatsApp, with over 1 billion daily users, is one of the most popular mobile messaging service in the market. The company also prides itself for the security that it offers. WhatsApp earlier this year implemented end-to-end encryption to all the chats taking place on its platform. However, this has led to public disagreements between tech-companies and governments. In UK specially, an increasing number of politicians have proposed a ban of such technologies, or even forcing the companies to install "backdoors" that would give the government access to the messages any time they want. A couple of months ago, th UK government passed the Investigatory Power Act law, that forces tech giants to hand their web histories over and even eliminate encryption upon request. Services like WhatsApp come under this.